Have you and your kids ever tried to say tongue twisters? We get such a kick out of listening to each other say them around here. It’s always a competition to see who can say them the most times without getting tongue-tied. Tongue twisters are actually forms of alliteration. Alliteration is the repetition of a sound in a sentence or a series of sentences. For instance, Peter Piper picked a peck of pickled peppers is alliteration. This will be a fun lesson for you and your kiddos! Read Dr. Seuss’s ABC :An Amazing Alphabet Book aloud to your kids. 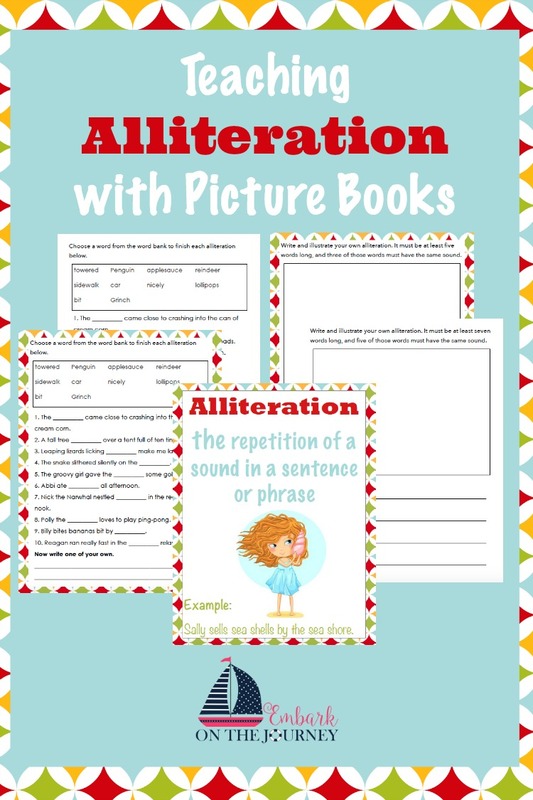 This is a great introduction to alliteration for kids of all ages. Aunt Annie’s Alligator. Lazy lion licks a lollipop. A yawning yellow yak. It won’t take long for your kids to pick up the idea of alliteration. Once you’ve read the ABC book, discuss the definition of alliteration. I’ve created an anchor chart you can use if you’d like. Have your students give you examples from the story. From there, let them see if they can create some alliterations of their own. They can be based on a favorite toy, artist, or even themselves. Rainbow Dash danced daringly on the drum! Macy met a mean man at the mall. Teddy tried to tie his tie, but it got tangled. Once you feel your kids have the hang of it, let them try creating some alliterations of their very own. I’ve created a variety of printables to get you started. 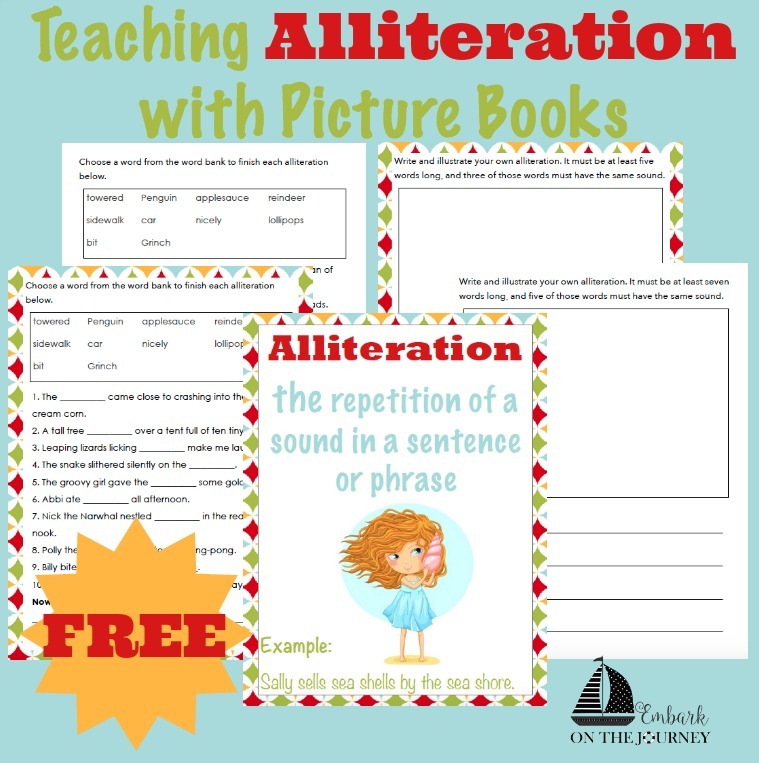 In this alliteration printable pack, you’ll find an anchor chart, several writing pages, and a fun fill-in-the-blank activity. Some of the pages have a colorful border, and some of them don’t in case you would prefer to use less ink. I can’t wait to try these out with my daughter. We homeschool, so this will be an excellent resource. Awesome! Let me know what your daughter thinks. Mine giggled through all of the examples and even through the Dr. Seuss book. Hi, I love picture books. 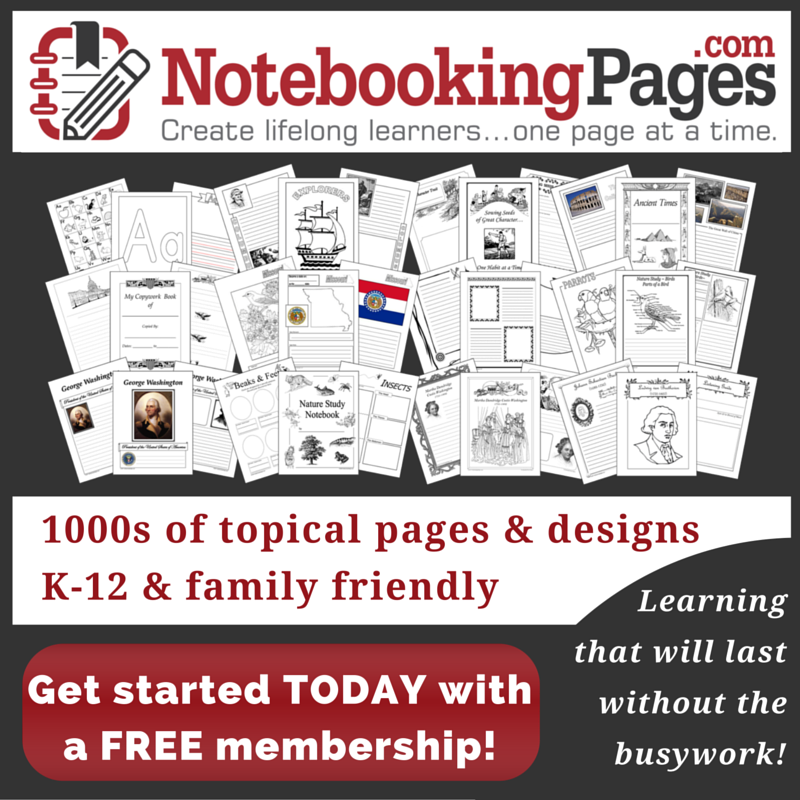 They are perfect for teaching so many important lessons at every developmental stage. Thanks for sharing on Literacy Musing Mondays. Great suggestions. My daughters have speech issues and tips like this have been so helpful. It makes such a difference when you know what you are teaching them with books.